The Dâmrei Mountains, literally the "Elephant Mountains", are a mountain range situated in the southwest of Cambodia. 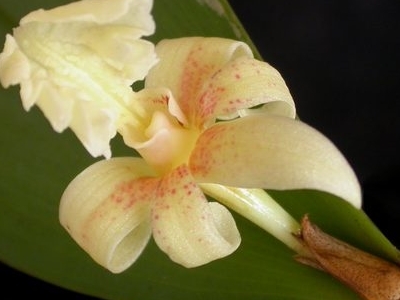 These mountains are an offshoot of the Krâvanh or Cardamom Mountains, but occupy a much smaller area. The highest elevation is Phnom Bokor at 1,081 meters (3,547 feet) above sea level. Located close to the shores of the Gulf of Siam, the densely wooded hills receive rainfall averaging 150–200 inches (3,800–5,000 mm) annually on their western slopes (which are subject to southwest monsoons) but only 40–60 inches (1,020–1,520 mm) on their eastern, or rain shadow, slopes. The Dâmrei Mountains were, until 1975, the principal centre of Cambodia's pepper-growing industry. After the intervening years of civil war and upheavals pepper-growing has revived slowly beginning from the late 1990s. 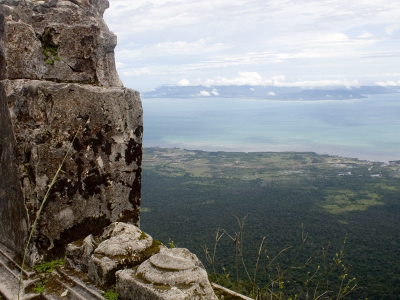 The Phnom Bokor National Park occupies most of the upper levels and the summits of the Dâmrei Mountains. The authorities are trying to curb illegal logging. The park has a great variety of plant species, including rare orchids as well as some spectacular waterfalls during the rainy season. Here's the our members favorite photos of "Mountain Ranges in Kep". Upload your photo of Dâmrei Mountains!